Dubai's Global Village, the city’s original theme park, has closed the gates on its most successful season yet. More than 5.6 million guests visited the themed destination during its 21st season, which ran for 159 days and ended on April 8. The park also managed to maintain a score of 9 out of 10 in its Guest Happiness Index, indicating visitors to the park were overwhelmingly satisfied with their experience. On its last weekend, Global Village hosted two back-to-back concerts on Friday and Saturday, by Bollywood actor-director-singer, Farhan Akhtar, and Emirati singer Mohammed Al Shehhi, respectively. The last performances of the season were two of 27 concerts that took place at Global Village in its 21st edition. Crowd-pleasers at Global Village included a new Far East pavilion representing Japan, South Korea, Indonesia, and the Philippines. Algeria was also represented for the first time with its own dedicated pavilion, while the Eastern European pavilion encompassed Romania, Serbia and Ukraine. The Jordan pavilion also made comeback following a two-year hiatus. Its reintroduction helped boost the total Global Village portfolio to 30 pavilions. Another new feature this season was the inclusion of the ‘heritage corner’ in every pavilion. These sections were created to highlight the history and heritage of the cultures they represented. “All our initiatives and endeavours across each touch point have been made with the singular vision of enhancing the guest experience irrespective of their nationality, age or profile and for residents and tourists alike,” said Global Village CEO Ahmad Hussain Bin Essa. Hussain said the theme park had also partnered with 52 tour operators during the 21st season to increase awareness in key source markets through exhibitions and roadshows. 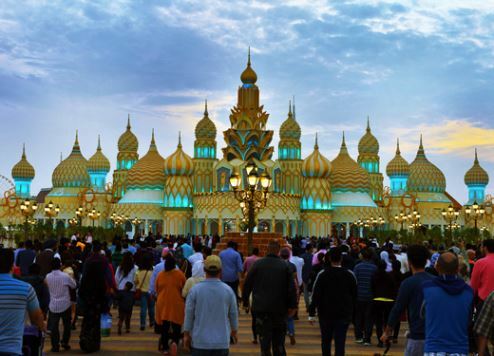 Global Village closed its season completing US$630 million worth of business transactions. It hosted 10,000 exhibitors representing at least 95 nationalities.